Dinner Theater: a whole new taste in Anaheim! We know that there are a lot of different dining options around us both inside the Gardenwalk mall and the Disneyland Resort area but most of them are unnecessary expansive or they require a reservation if you are not willing to spend some time in line. With this in mind, Kip Barry’s Cabaret aims to offer customer-oriented eateries featuring new menu choices that are high in quality, cost-conscious, conveniently available and representative of current food trends. Please welcome our new Dinner Theater featuring Pizza Buffet, Dinner Special and Snacks Special! Pizza Buffet Dinner is the Real Deal, with it’s comprehensive menu and competitive price is one of the best dinner deal you can find in the Anaheim area! Starting at 6:45 PM enjoy your dinner in our vintage inspired Theater and be ready for an incredible Show with Magic, Music and Comedy! It is available only on Show Nights (Thursday, Friday and Saturday) with the purchase of any regularly priced Show Ticket. Join us for an evening of Dinner, our nostalgic Jazz and Comedy Pre-Show and our Top Rated Variety and Magic Show! Dinner special is our care free package, our way to say thank you for choosing us. Enjoy your full course Dinner while surrounded by the notes of great Jazz artists and their music, personally selected from our Jazz Experience Night. Our Dinner Special includes premium Dinner, Show tickets for 2 or 4 people and a Magical Surprise ($20 value). Pre-Show at 7 PM and Show at 7:30 PM. Have you already had dinner? or you just don’t feel like eating much tonight? We have something for you as well! It’s called Snacks Special and it is the perfect complement to your night out with your family or friends. 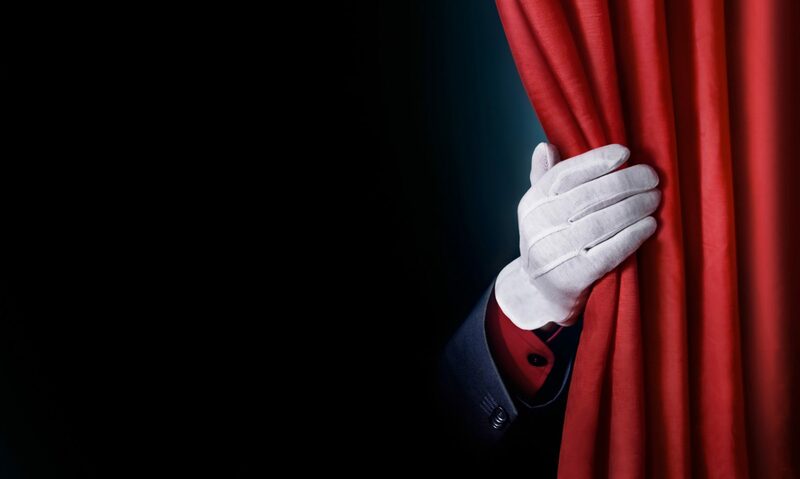 Let us entertain and amaze you with our Southern California’s #1 Variety and Magic Show while enjoying crunchy gourmet popcorn and cold drinks. Do you still have questions? Do you have special any request or do you want to organize a group or corporate event?